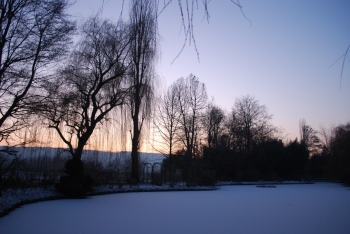 It was a dream come true for me to enter Monet’s garden at sunset to take pictures of the dusk. Cold Winter days finish in a symphony of very tender colors, soft pinks and blues, whereas milder days generally offer dramatic sunsets with flaming reds on low clouds. 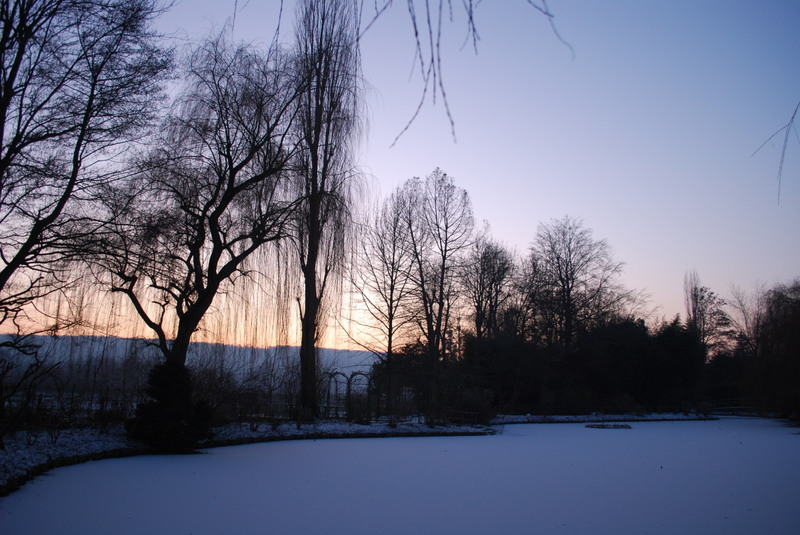 As it was last week, it was just incredible to be there, in the absolutely empty garden, walking around the frozen water lily pond waiting for the sky to change. During the Winter parenthesis, when it is closed for five months, Giverny stops being iconic. Monet’s pool is no more the motiv for world wide known canvases. It becomes a patch of nature again, a very small place indeed lost in the frozen landscape. The realm of wild life.